Diabetes is so prevalent it’s hard to imagine that anyone reading doesn’t know SOMEONE with type 1 or type 2 diabetes. It’s an epidemic that affects 9.3% or 29.1 MILLION people in America have diabetes (numbers from 2012). The WHO states that 347 MILLION people worldwide suffer from diabetes. Beyond the actual diagnosed diabetics there is an additional 86 MILLION Americans age 20 and older who are considered as having prediabetes – or the beginnings of insulin resistance. Responsible for 69,071 deaths in the US in 2010, and as of 2012 Diabetes was the direct cause of 1.5 million deaths worldwide. This was previously known as insulin dependent, juvenile, or childhood onset diabetes. In this form an individual is required to inject themselves with insulin so that their body can absorb sugar. At that point the body has essentially shut down the insulin factory. Though there is no known cause for Type 1 diabetes, and it’s thought it is likely genetic. Type 2 diabetes can LEAD to type 1. In this form your body is simply using insulin less effectively. It’s become resistant to it, so your body is absorbing sugars poorly. 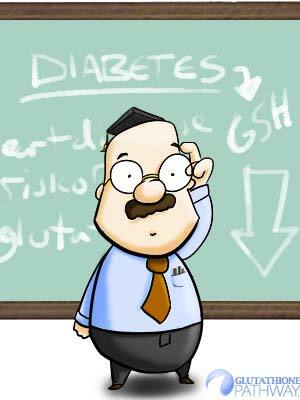 This is the diabetes that is most clearly preventable through good nutrition, diet, and exercise. First and foremost, like most disease, diabetes will cause a significant decrease in your body’s production of the glutathione molecule. Glutathione is critical to good overall health through numerous pathways, and this deficiency can lead to other health problems, uncontrolled inflammation, and free radical damage. Type 2 diabetes are often suffering weight management issues, sedentary lifestyle, and poor nutrition. Sustained hyperglycemia is linked to increased oxidative stress, and with an increased risk of diabetic microvascular and macro-vascular complications. Glutathione helps with liver function and acts as a free radical scavenger so it’s less trivial for oxidized fats to accumulate in the blood. Improving cellular metabolism, improving mitochondrial function, and protecting from cell damage is a huge factor in maintaining health in those suffering from diabetes. 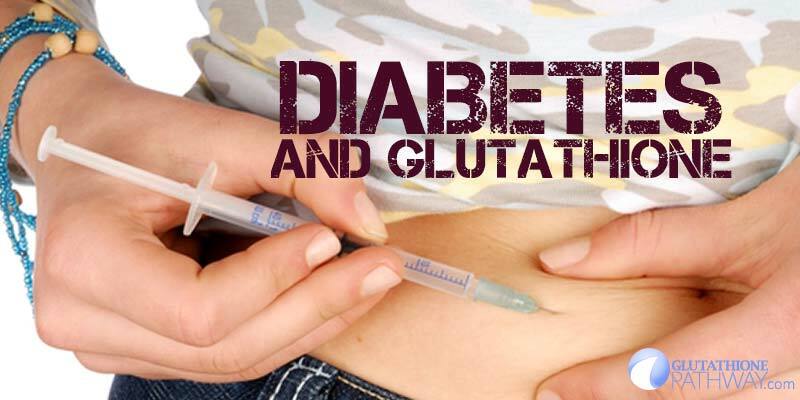 Beyond that it’s known that GSH or glutathione plays a role in degradation and regulation of insulin. So by raising glutathione levels you can potentially help improve liver function, protect liver function, reduce reactive oxygen species and oxidative stress which follows that you can reduce inflammation. With reduced inflammation your body is more capable of managing insulin and absorbing nutrients properly. Existing studies on diabetes have made great use of Alpha Lipoic Acid as the supplement of choice to help support glutathione production in diabetes patients. If you are struggling with insulin resistance, metabolic syndrome, and diabetes, alpha lipoic acid is the first step…. We think though that since there have been advancements in oral glutathione availability that acetyl glutathione may be the best way to boost glutathione levels. In fact we recommend… BOTH! Combining a few quality supplements that work together to improve overall health would be the best bet for those with diabetes to protect themselves. In truth the same principles apply to anyone looking to improve their overall health and give their body the tools it may be lacking to defend itself. Acetyl or liposomal glutathione, alpha lipoic acid, and coenzyme q10 are a powerhouse combination. Add a quality B complex and Vitamin D and you give your body important tools to protect itself not only from diabetes, but the onset of diabetic complications and associated health issues. Always… ALWAYS… talk to your doctor before you decide to take any action. Diabetes is a serious issue and supplementing glutathione could help, but it’s best if you keep track and monitor it with the help of a physician.